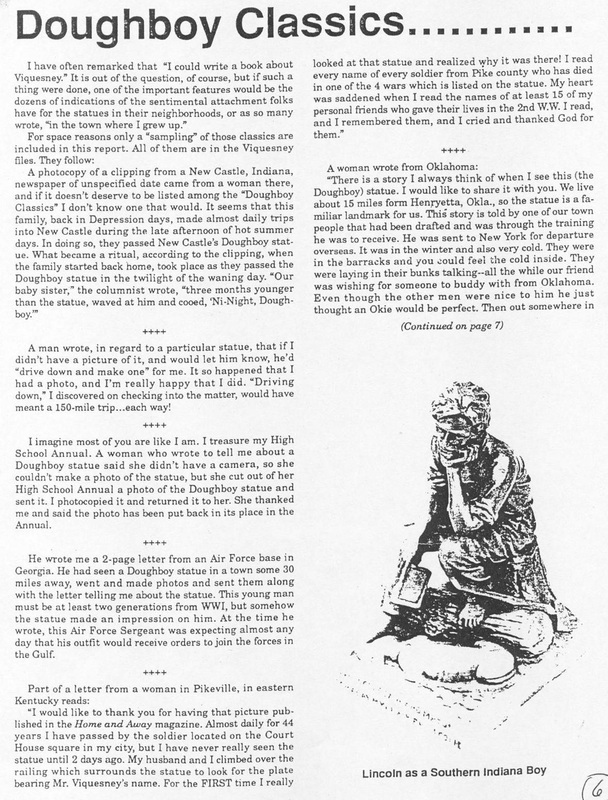 Masthead from T. Perry Wesley's 1991 Doughboy Report. 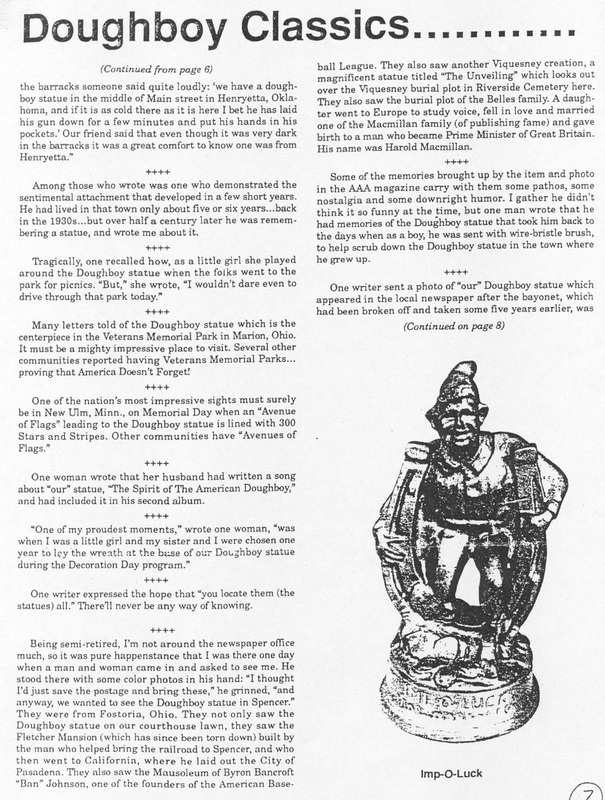 T. Perry Wesley (1905 - 2001) was the first person to attempt a coherent organization of information about E. M. Viquesney, his creations, and specifically the whereabouts of his "Spirit of the American Doughboy" statues. 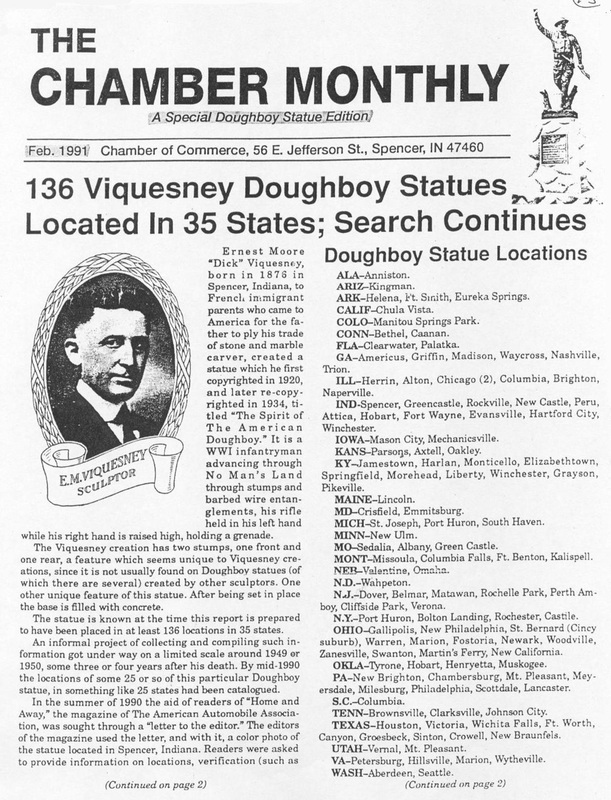 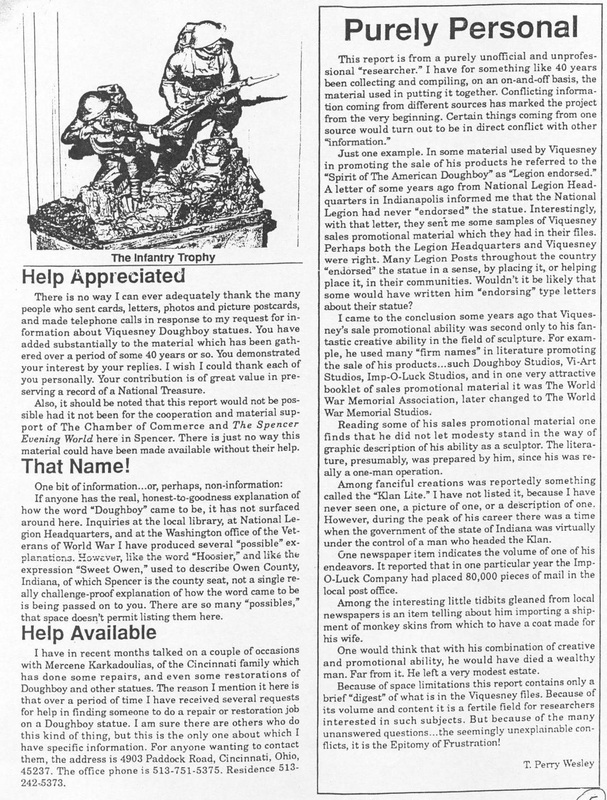 In February of 1991, the Owen-Spencer [Indiana] Chamber of Commerce published a "Special Doughboy Statue Edition" by Mr. Wesley, in which he presented what information he had found so far concerning Viquesney and his works. 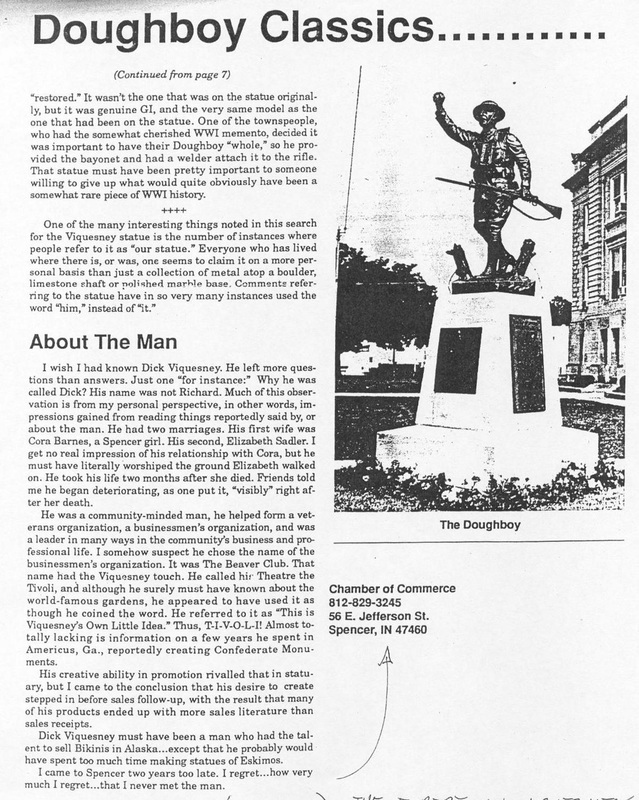 While a good first attempt, Mr. Wesley's report contained numerous errors as to many of the "confirmed" locations of Viquesney's Doughboy, which subsequent researchers (Earl Goldsmith and Les Kopel, in particular) have found to be incorrect or even nonexistent. 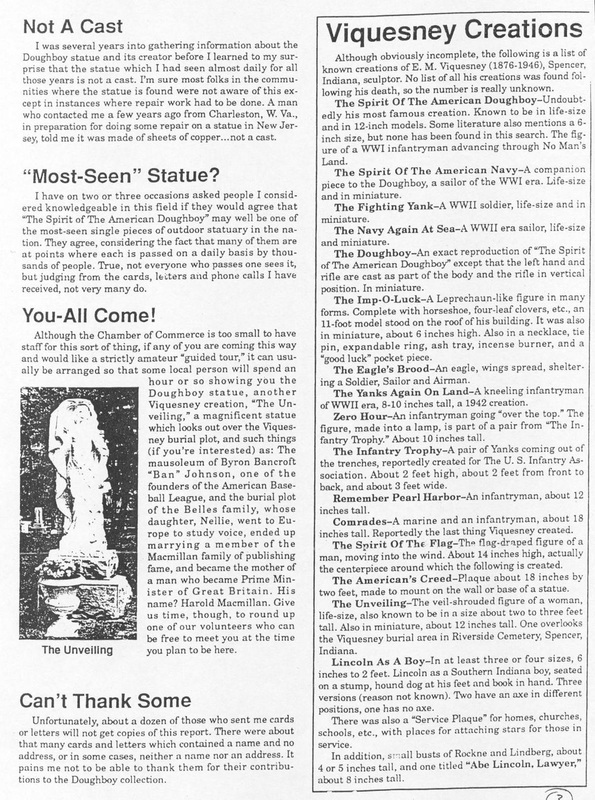 Although Mr. Wesley issued several later revisions of his report, it was this original version that caught the public's eye, and is thus now the one most often [mis]quoted in later news articles and on other websites. 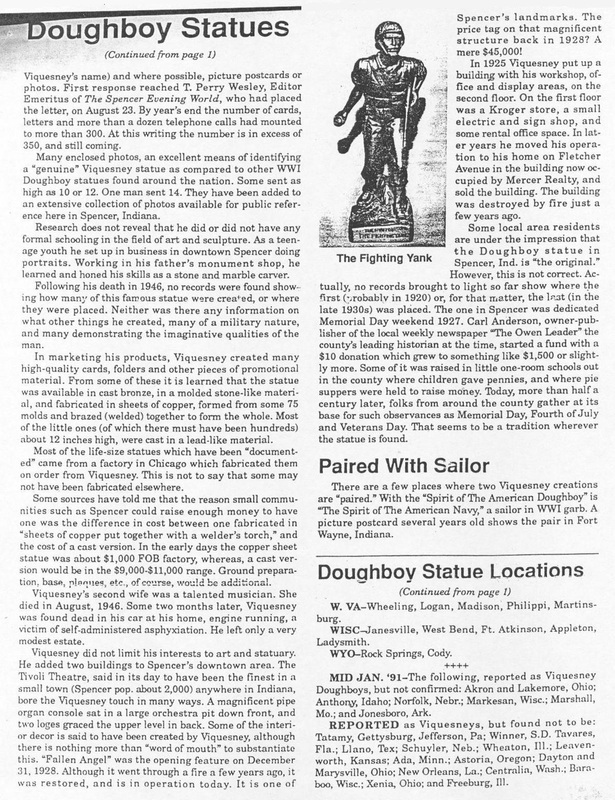 Many errors in the report found their way into the records of the Smithsonian Institution, where some still remain. 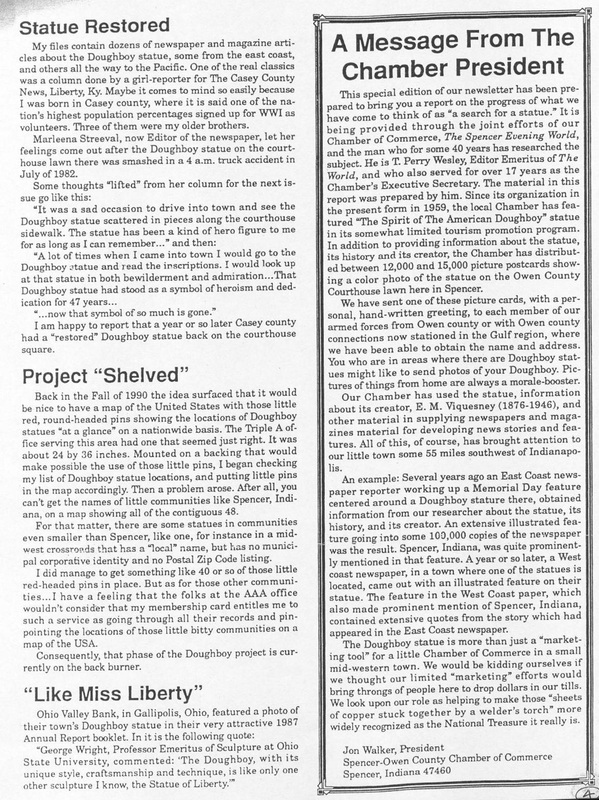 Click on the thumbnails below to view Mr. Wesley's original 1991 Doughboy Report.